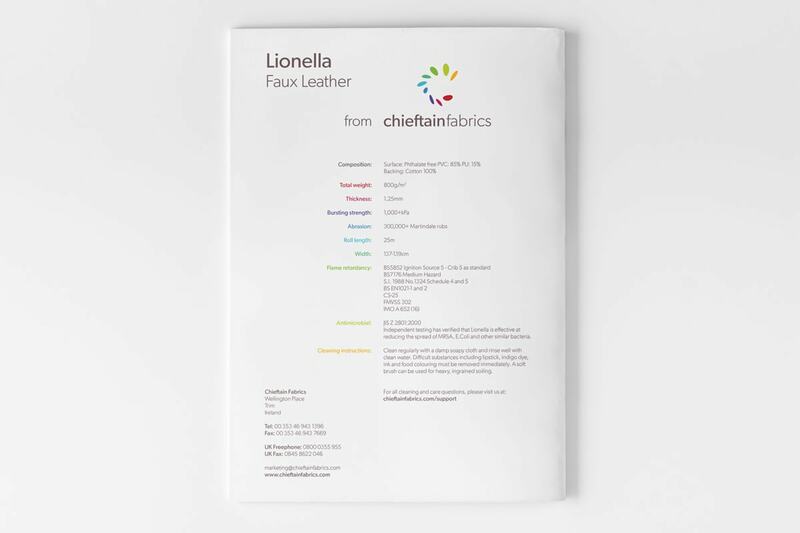 Chieftain Fabrics have been producing Faux Leather leatherette to the contract vinyl upholstery industry since 1954. 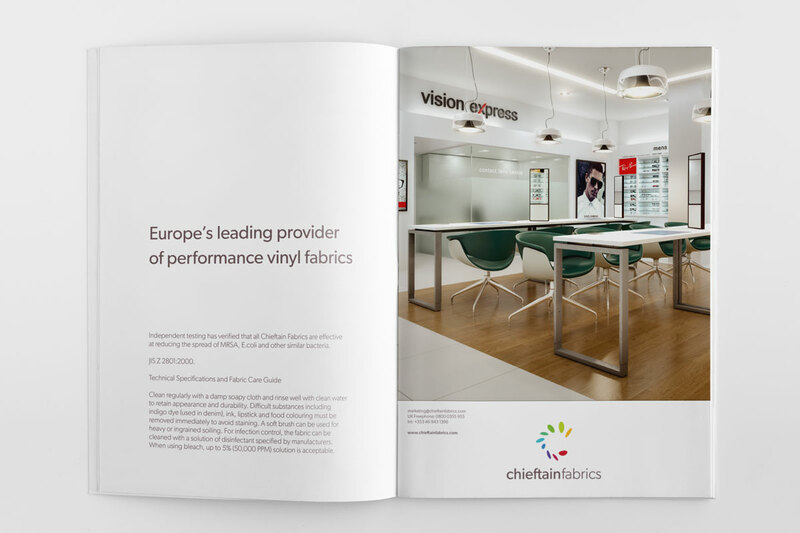 Headquartered in Trim, Ireland, they provide contract fabrics, with a concentration on upholstery vinyl for customers in the healthcare, hospitality and government sectors. 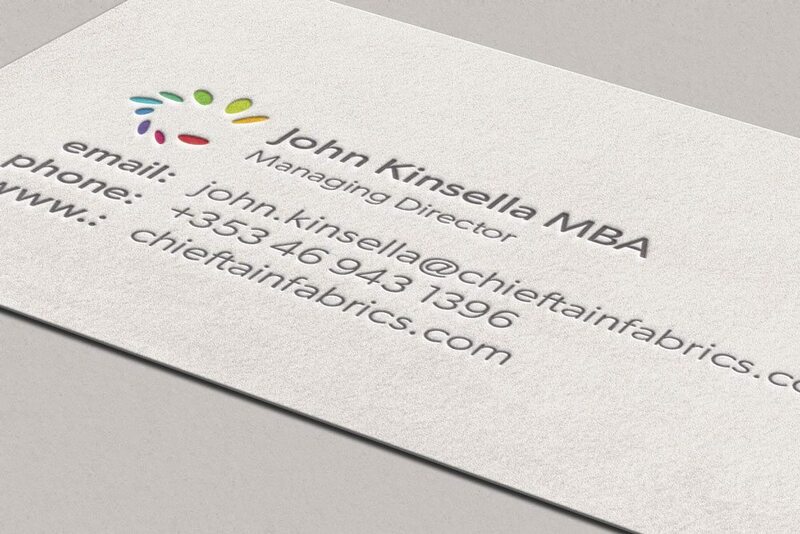 They got in touch with Inkbot Design in Belfast to discuss an update to their logo design and branded collateral. The previous Chieftain Fabrics logo design had become stale and dated. Technical issues of legibility made it hard to decipher in certain situations, with the sideways ‘fabrics’ and ‘simply better’ distracting from the identity. 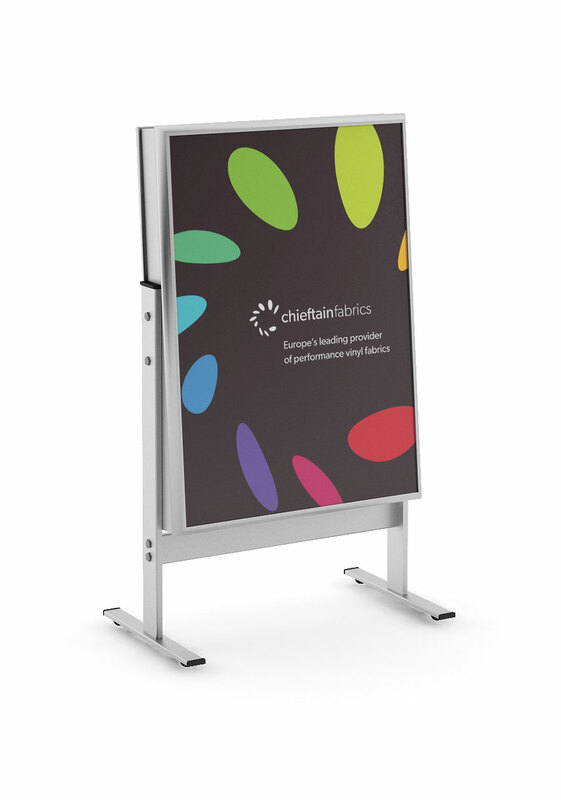 Its presentation in monotone grey was not reflective of the vibrancy within the Chieftain Fabrics product range, but critically, it no longer represented the market they now communicate with. 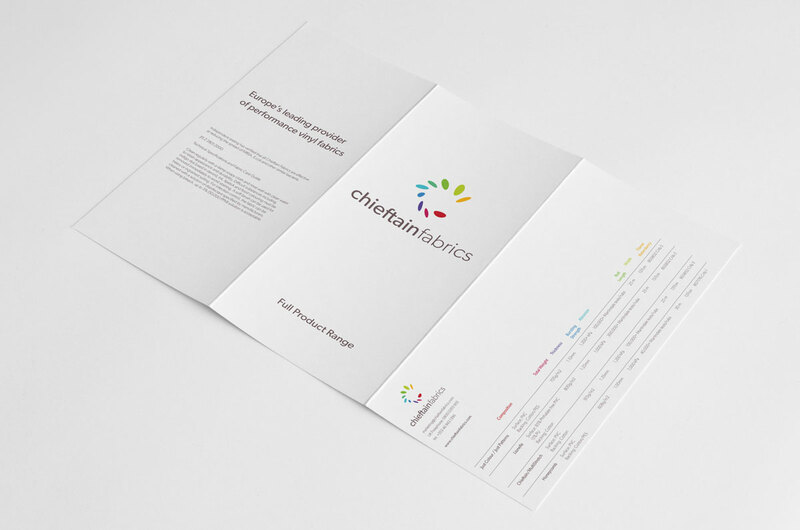 The redesigned Chieftain Fabrics logo combined several key targets in the brief. Overall simplicity was key, it had to be adaptable for the extremities of print, both in scale and technique. Three keywords offered up were “able”, “dynamic” and “confident” – the updated logo design covers all of these with ease. Typographic legibility was also a focus for the rebrand, with an overhaul of branded typefaces. Gibson was chosen for its balance, adaptability and it’s humanist geometry adding to the personality. A new Logo Design that will blow you and your customers away – guaranteed!